“People are never given a wish without also being given the power to make it true.” This quote by Richard Bach sits smug on all the Mughal Rulers who made some of the most remarkable and wonder monuments in India. Agra in Uttar Pradesh is one such destination that houses a number of architectural wonders that are listed as World Heritage Sites by the UNESCO. After visiting the seventh wonder of the world – the Taj Mahal – I decided to explore the other fascinating attractions of the city. 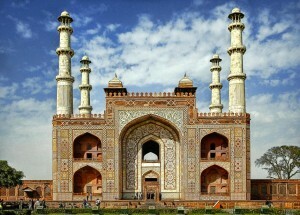 I started with the Agra Fort, ‘Lal Quila’ of Agra. popularly known as the Serving as a walled palatial city, the fort was taken over from the Lodhis by Emperor Akbar. I wonder a monument built in red sandstone with white marble and intricate decorations can be so beautiful, so charming and spell-binding !! Legend says that the fort was also a site of one of the battles during the Indian rebellion of 1857 against the British. I also visited and admired the Jahangir Mahal, Diwan-i-Am, Diwan-i-Khas, Sheesh Mahal, Khas Mahal, Panch Mahal etc. inside the Agra Fort. Sikandra. 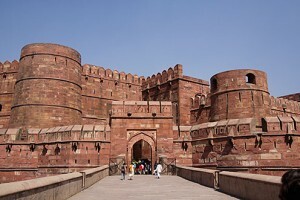 Located about 10 km from the city centre, the Sikandra Fort was initially built by the Mughal emperor Akbar but the construction of the entire complex was completed by his son Jehangir. The garden of the fort is built in a typical Charbagh style with water channels running through it. The gateways of the fort, the tomb of Emperor Akbar, inlay marble work, massive piers & arches and elegant mosaic works are simply excellent and incomparable. Post lunch, I hired an auto-rickshaw for Itmad-Ud-Daulah Tomb. Popularly known as ‘jewel box’ or the ‘Baby Taj’ , the tomb consists of numerous outbuildings and gardens. It was commissioned by Empress Noor Jahan (Jehangir’s wife) for her father Mirza Ghiyas Beg. The monument has white marble walls decorated with semi-precious stones. As I was running short of time, I paid short visits to Ram Bagh (Mughal garden laid by Baur in 1528) and Jama Masjid (one of the largest mosques in India housing the shrine of religious Sufi leader Sheikh Salim Chisti). My last sightseeing in Agra was Fatehpur Sikri, the political capital of Mughal dynasty under Akbar’s reign. 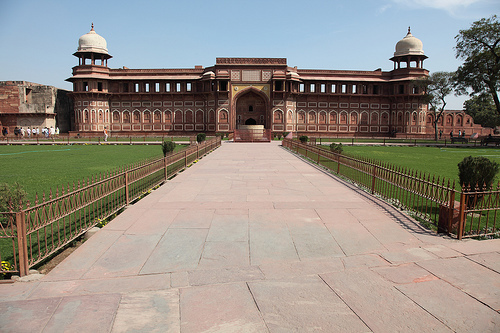 With a number of palaces and mosques, Fatehpur Sikri boasts of Akbar’s crowning architectural legacy. Due to its architectural beauty, it is also declared a World Heritage Site. I love to wander as a cloud. I, being a travel writer, love to share my experiences with the world. I am addicted to adventurous and exciting travel destinations. India is definitely a land of wonders. In my cross-cultural or transnational write-ups, you will find the true beauty of India.